I first encountered Daniella Germain's work through the Koko Black drawing prize, in which she was a self-confessed serial entrant. Her work always stood out as extremely sweet, with delicate details, and very accomplished. So it wasn't long before she was completing commissioned illustrations for the prestigious chocolate company for their packaging. 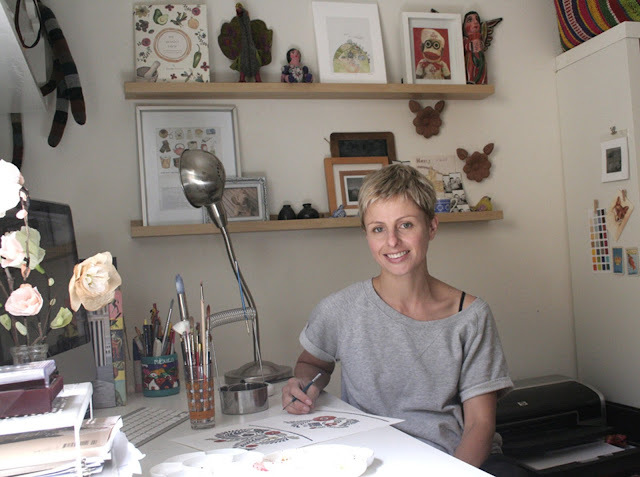 Having changed careers after many years in an unrelated office job, Daniella has hit the ground running. Check out this impressive list of design and illustration work already! 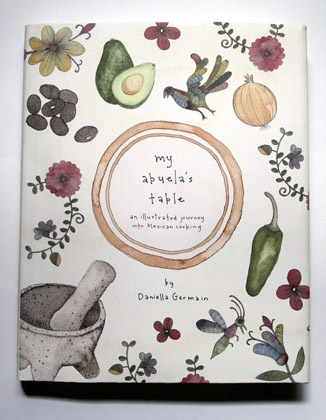 Daniella authored, designed and illustrated My Abuela's Table (a collection of her Mexican grandmother's recipes) which has been shortlisted for 'Best Designed Cookbook' in this year's APA Book Design Awards. Her most recent illustrated book is Sweetie! (check it out here). And she's only just getting started! Read on to hear the incredible story of how she got her break in illustration and design. Welcome, Daniella! I’m a Melbourne based illustrator and graphic designer. I live with my fiancé and 2 fur kids in the lovely, creative suburb of Northcote. I studied Communication Design at RMIT, finishing my degree around 18 months ago. I wasn’t entirely sure what I was going to be doing once I finished my studies, but I fortuitously fell into book design and illustration – luckily the two career choices I was tossing up between! Last June, my very first book, My Abuela’s Table was published by Hardie Grant Books. My Abuela’s Table was an end of year university assignment, completed for a publication elective. As I said, I was tossing up between being an illustrator and book designer before I finished uni, so what better way to marry these skills by completely illustrating a cookbook of my Mexican grandmother’s recipes! I was lucky enough to have my book noticed by the MD of Hardie Grant (Julie Pinkham) who had come to RMIT to judge our final folios. Less than two months later they offered me a book deal! The rest is history. Thanks to this lucky break I am now illustrating and designing full time. Hurrah!